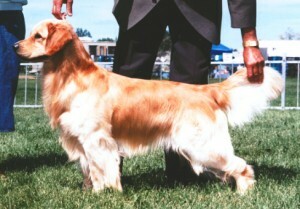 handled by Carol Morrison of Pacificgold Golden Retrievers. by Randy Schepper. His sire was one of my all time favorite dogs, Brooks, Am Can CH Pacificgold’s The Dance.